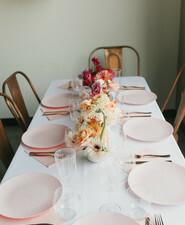 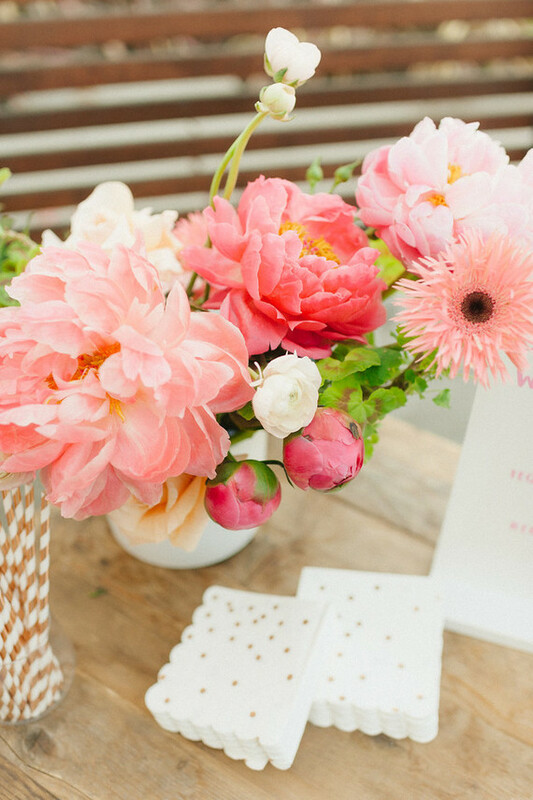 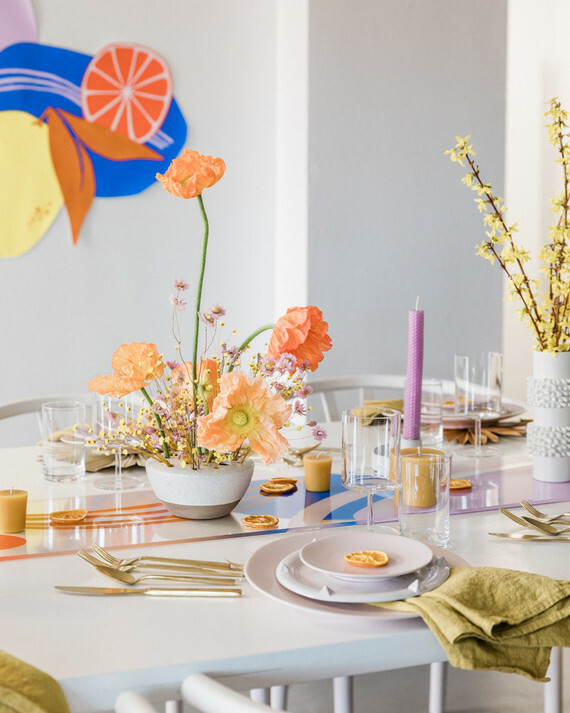 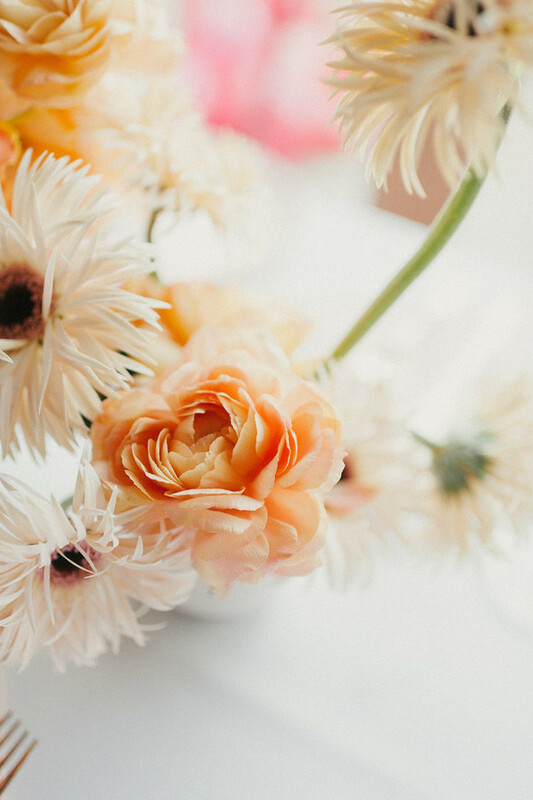 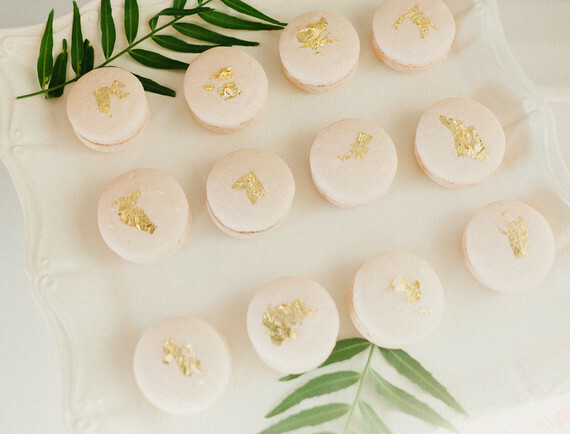 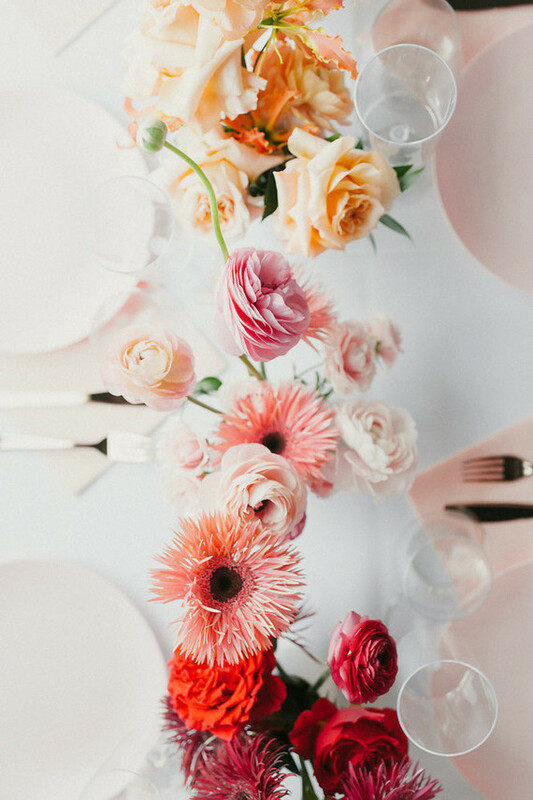 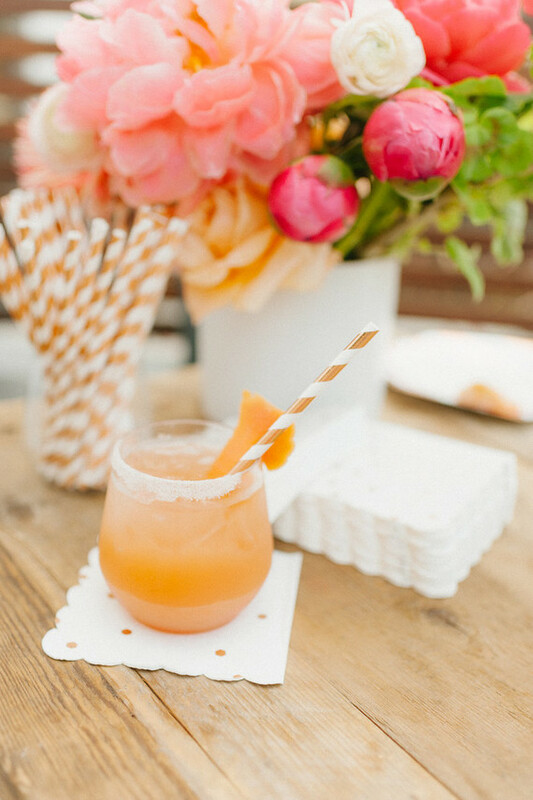 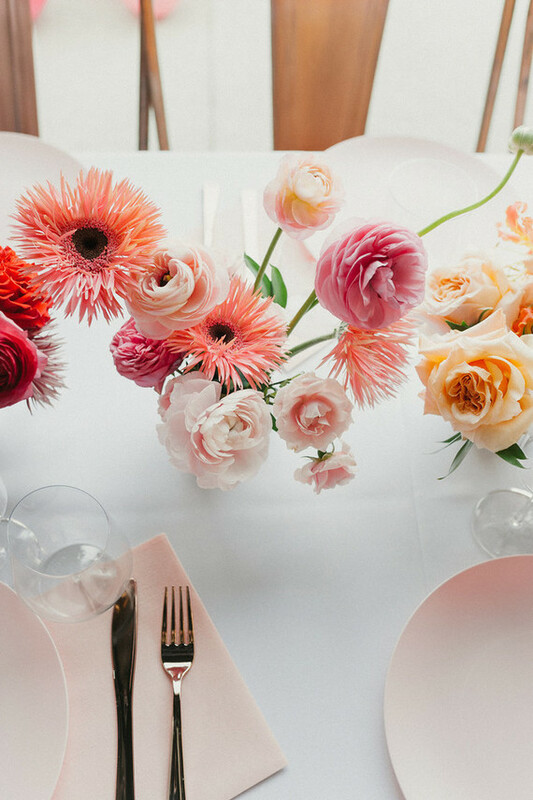 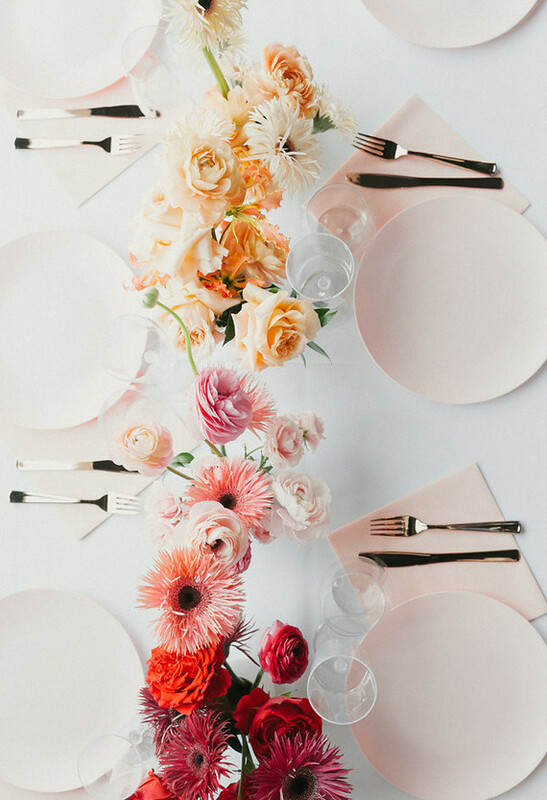 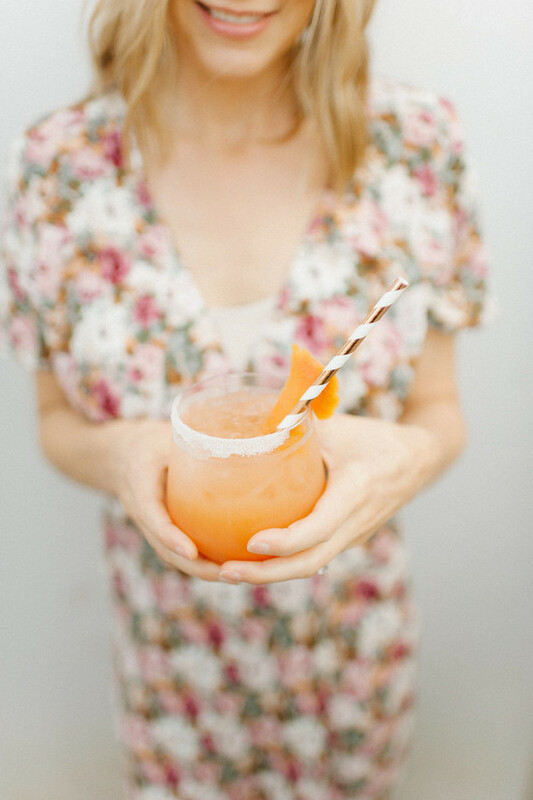 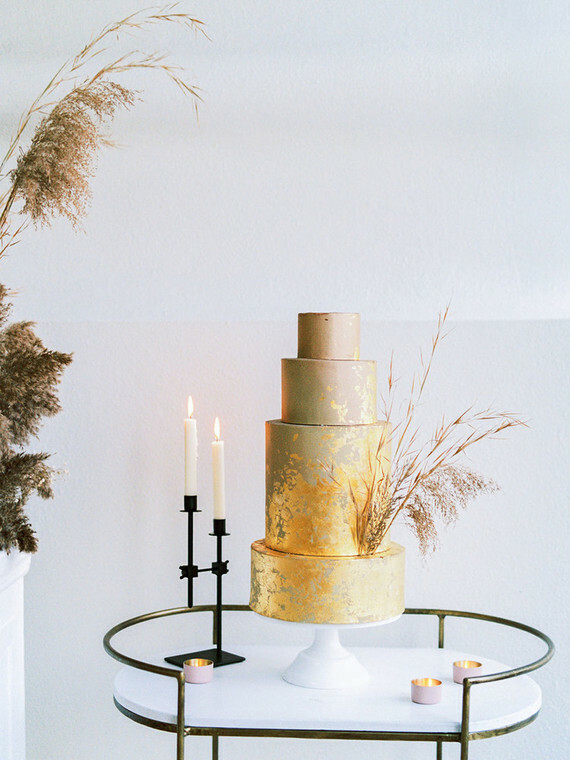 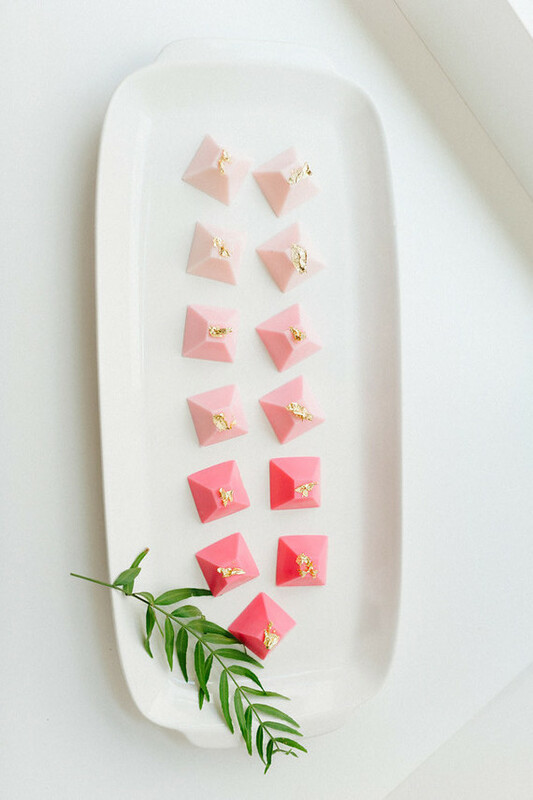 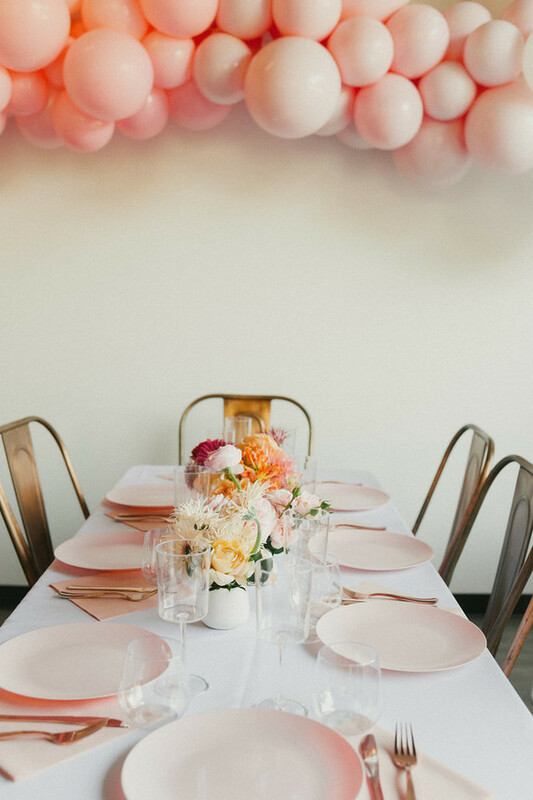 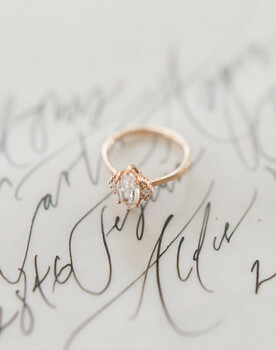 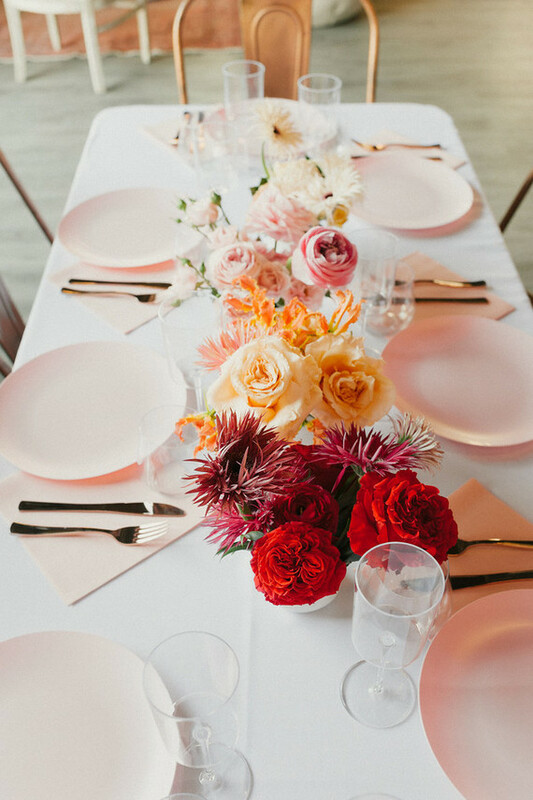 Mildly obsessed with this ombre-inspired centerpiece idea over here. 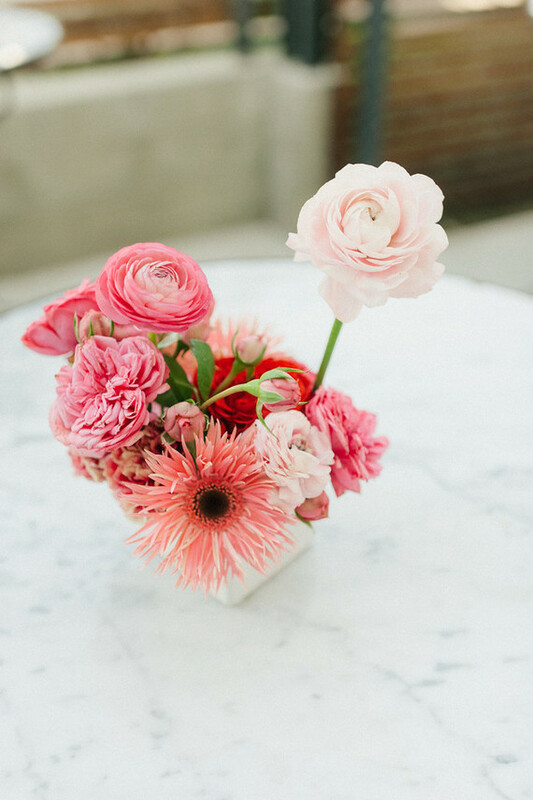 Thanks for the inspo, Of The Flowers! 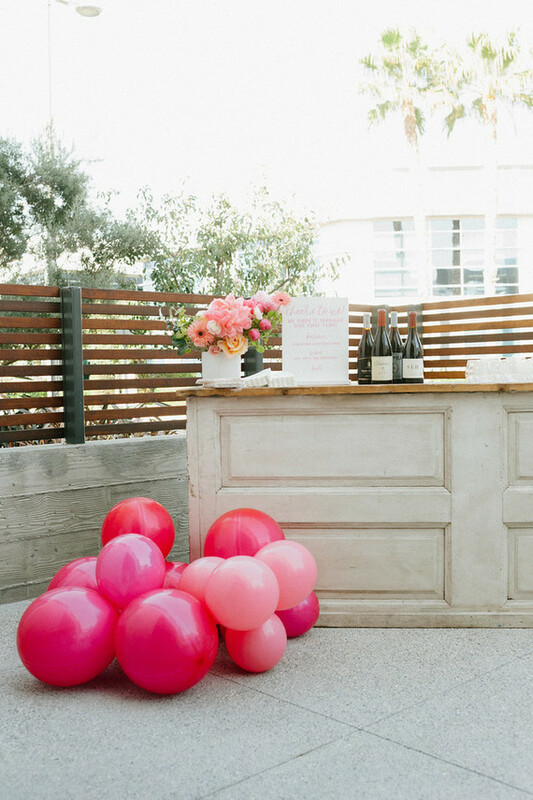 And yes, there was an ombre balloon arch. 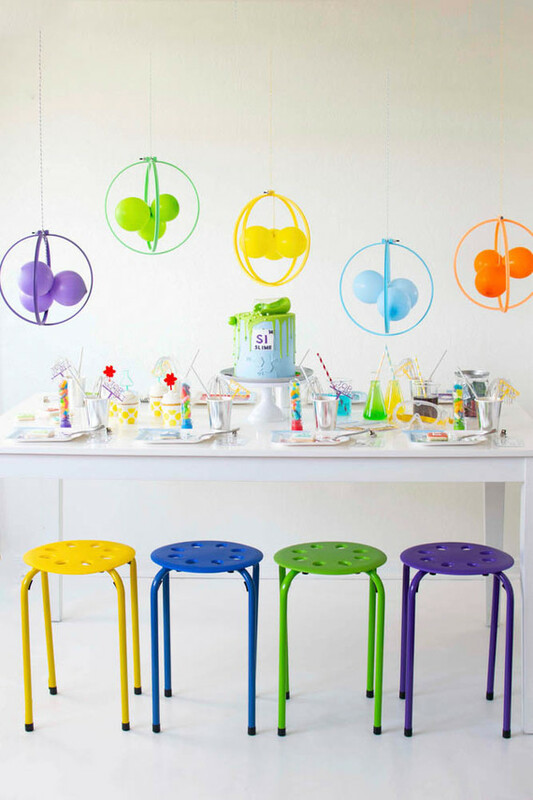 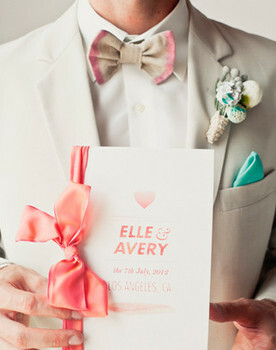 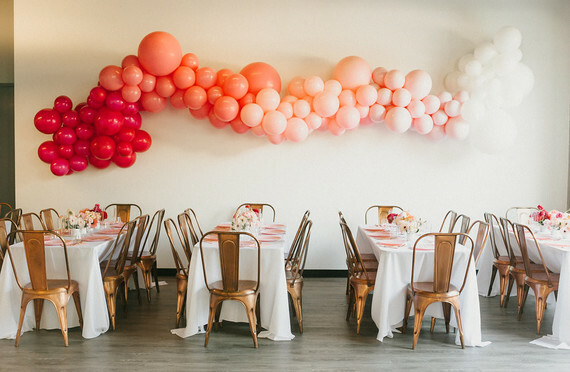 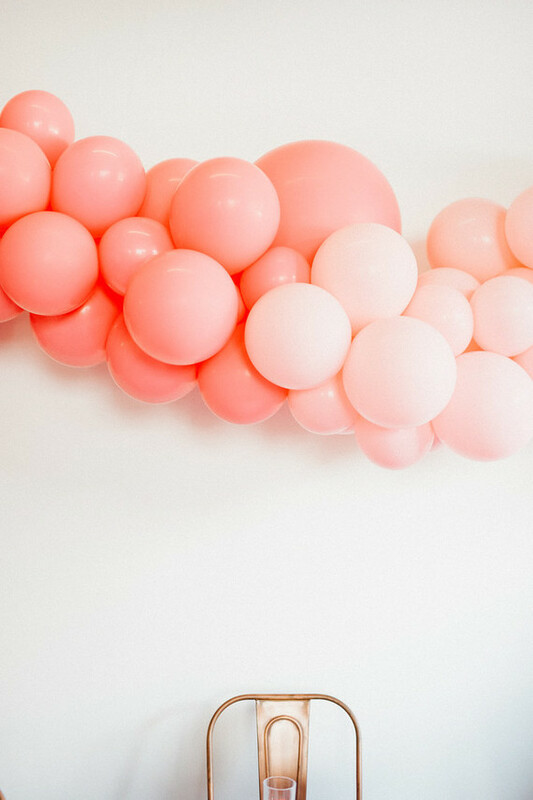 Always an ombre balloon arch. 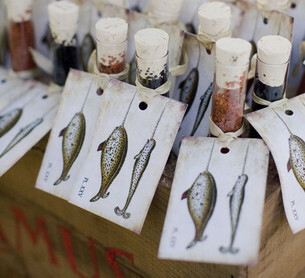 Poppy Jack Shop was behind the calligraphy and signage. 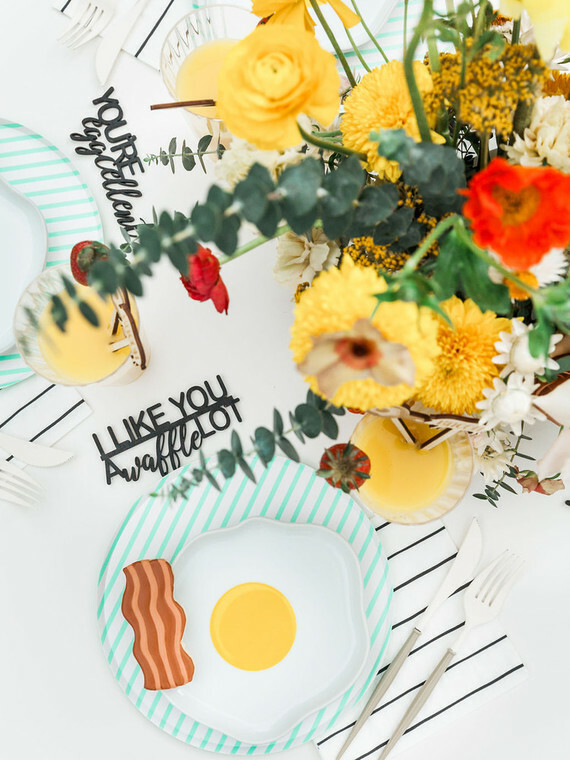 Cute photo recap, check! 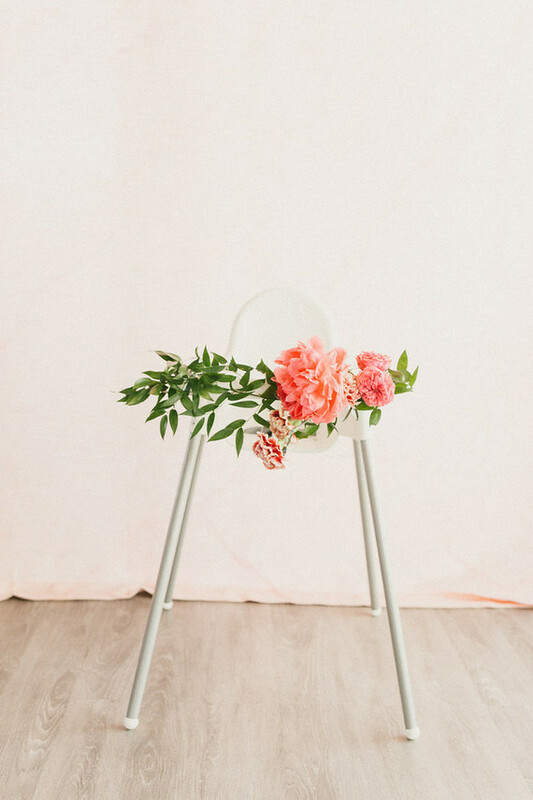 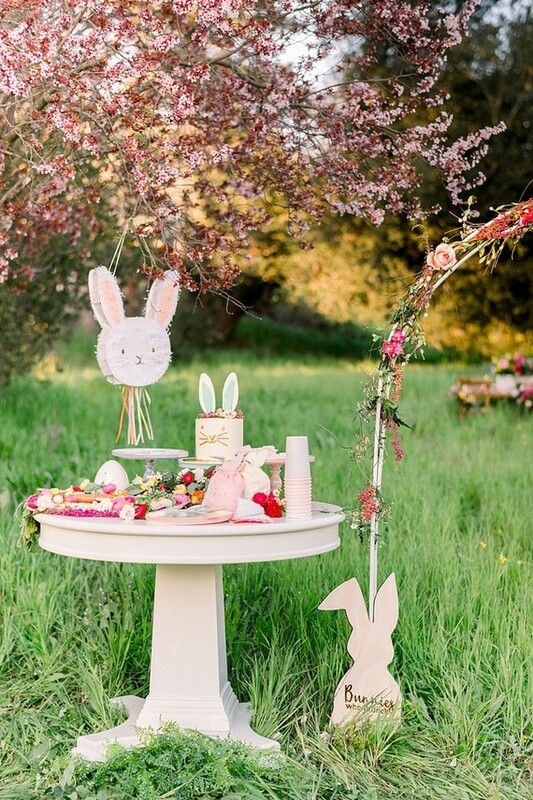 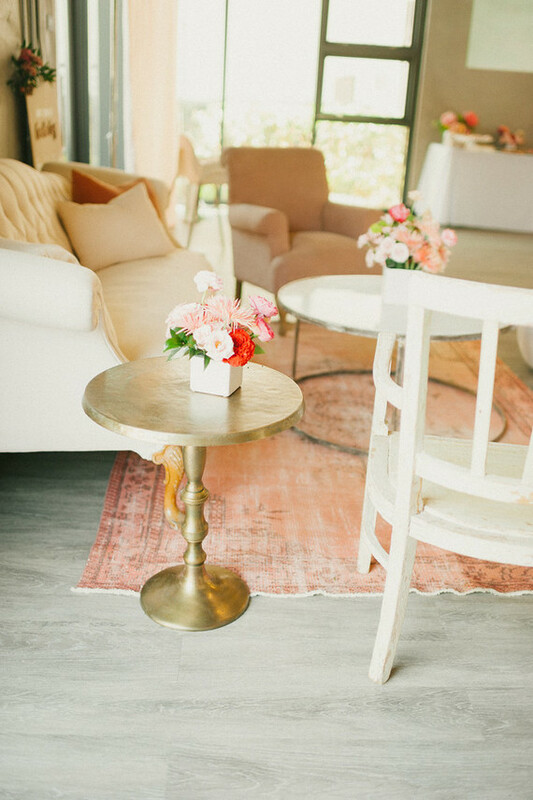 This little setup a la Found Rentals would make a charming baby shower lounge too, no? 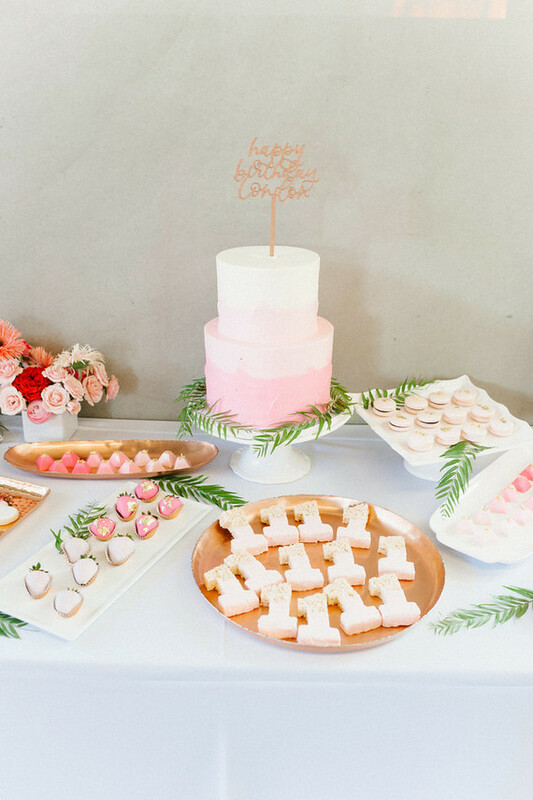 And all the sweets? 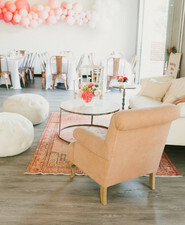 Sweet & Saucy Shop‘s take on pink ombre is an instant fave. 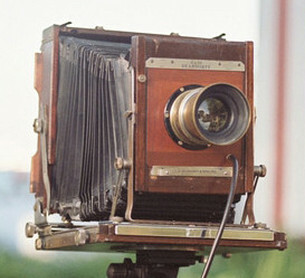 Better get this snap up on the wall, mama! 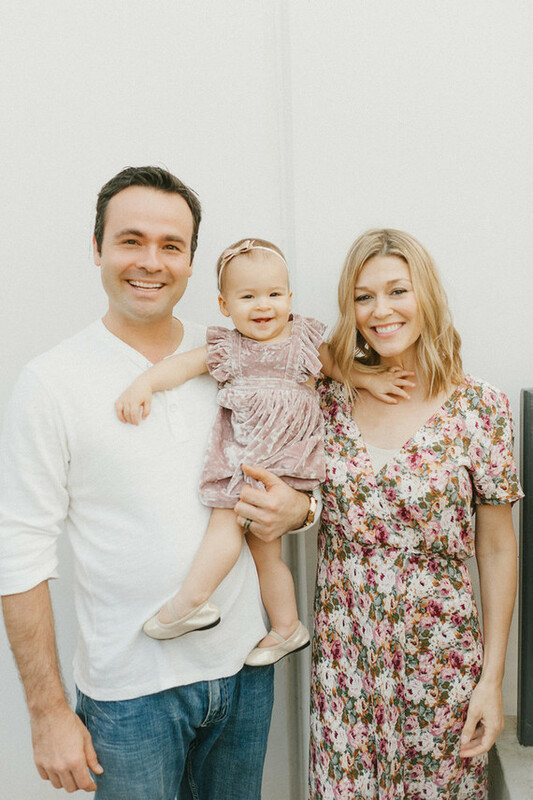 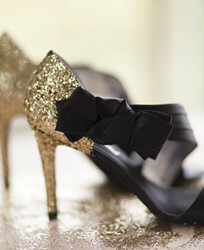 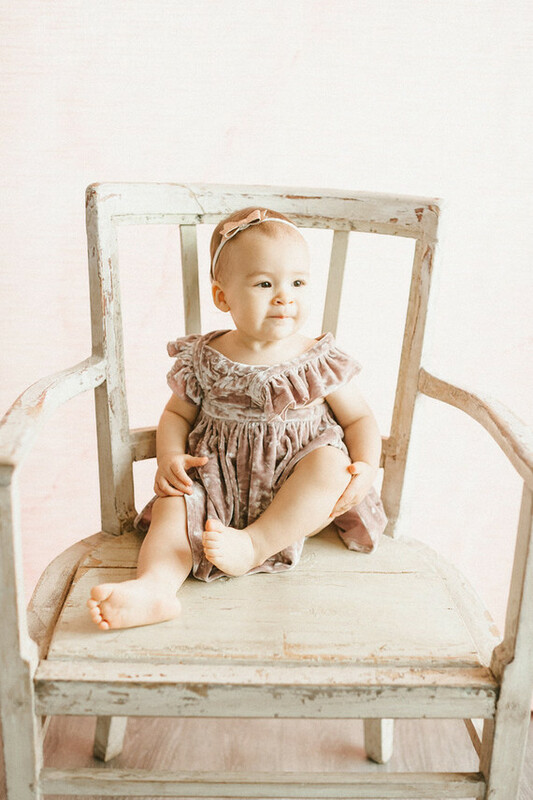 So soooo precious. 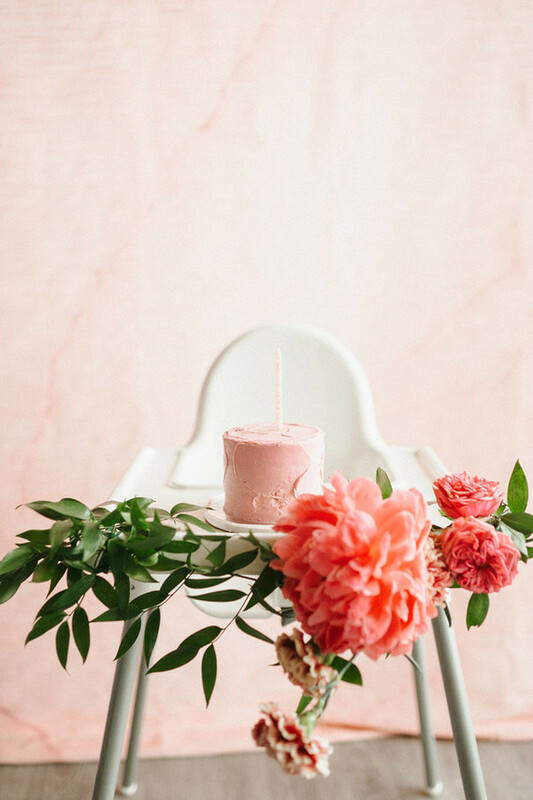 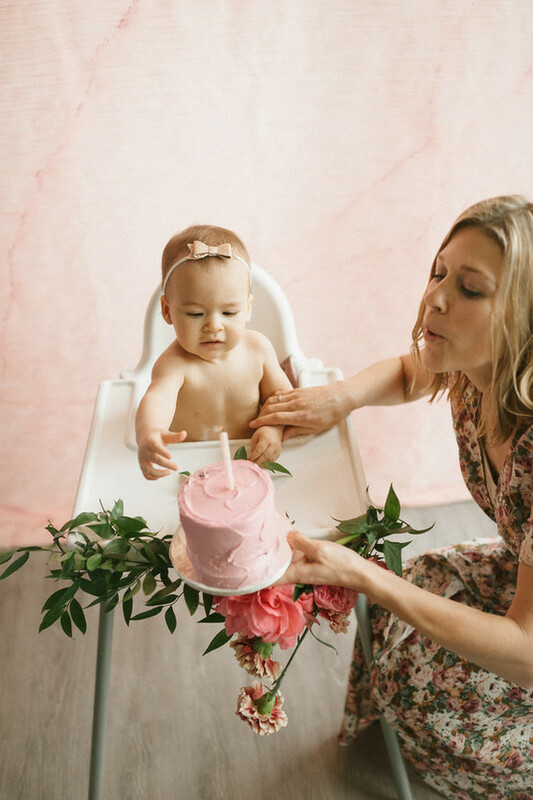 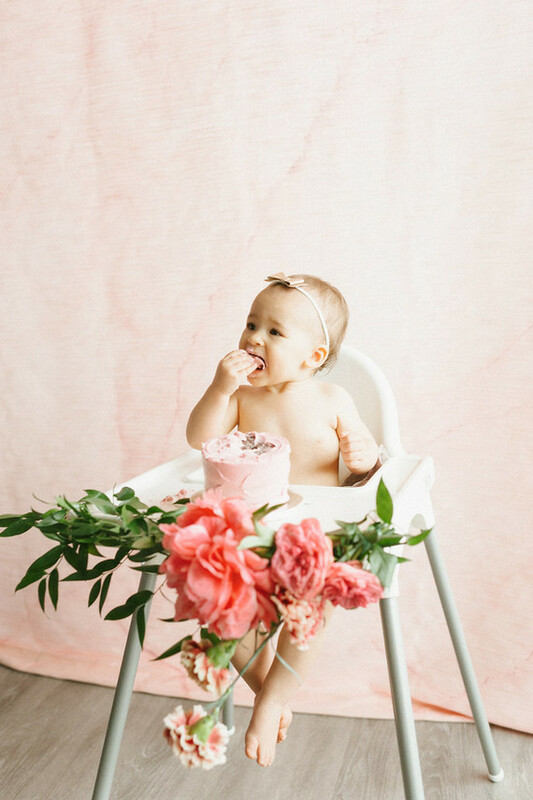 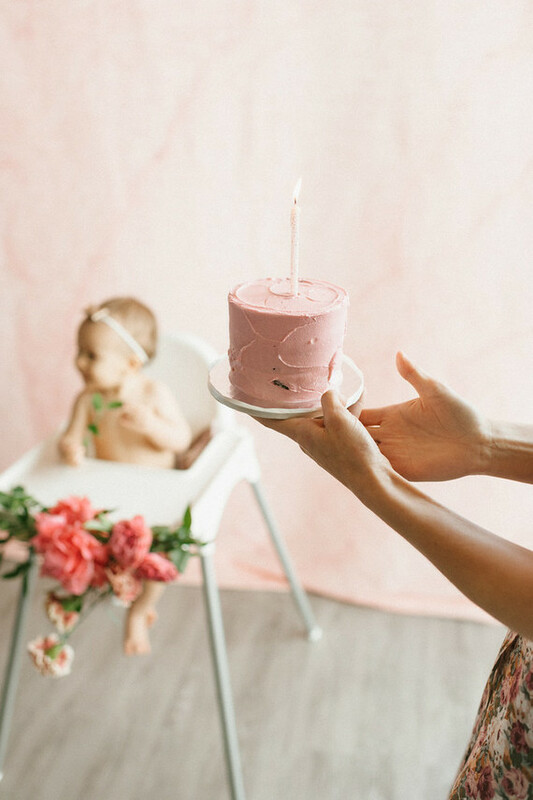 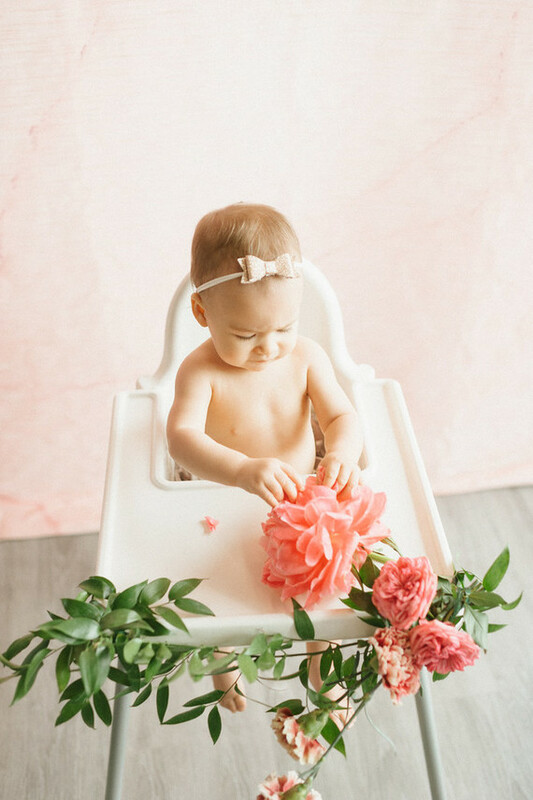 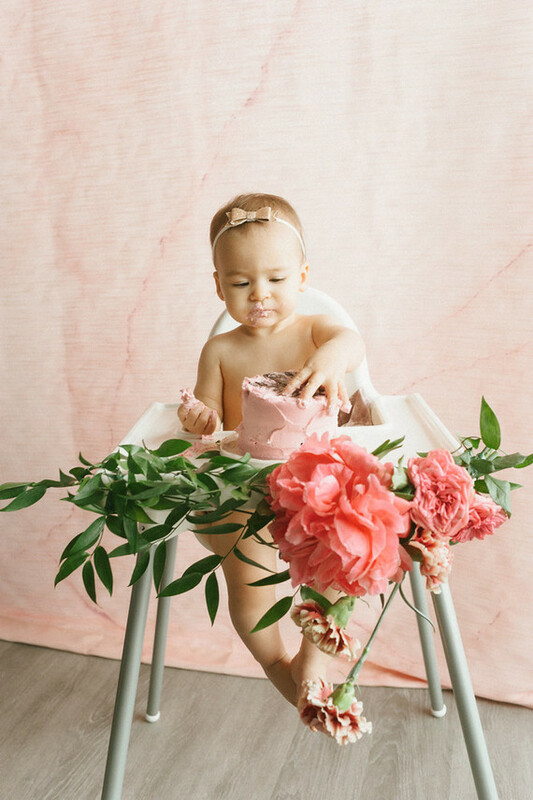 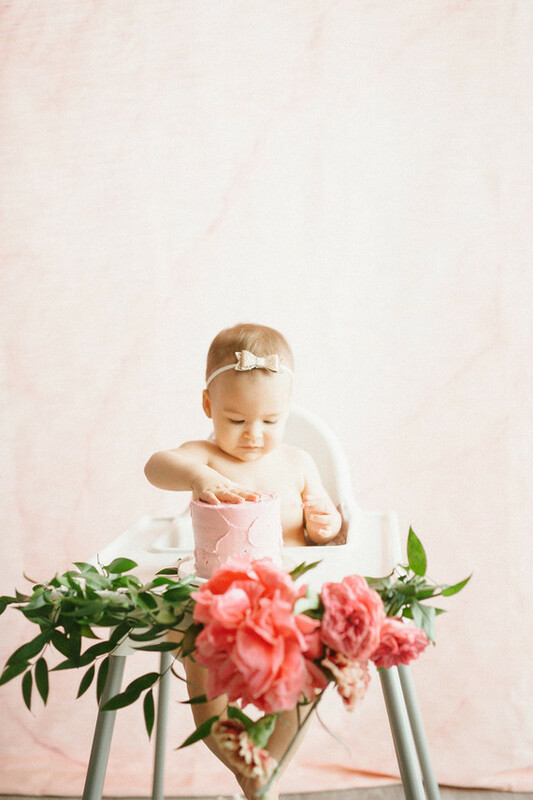 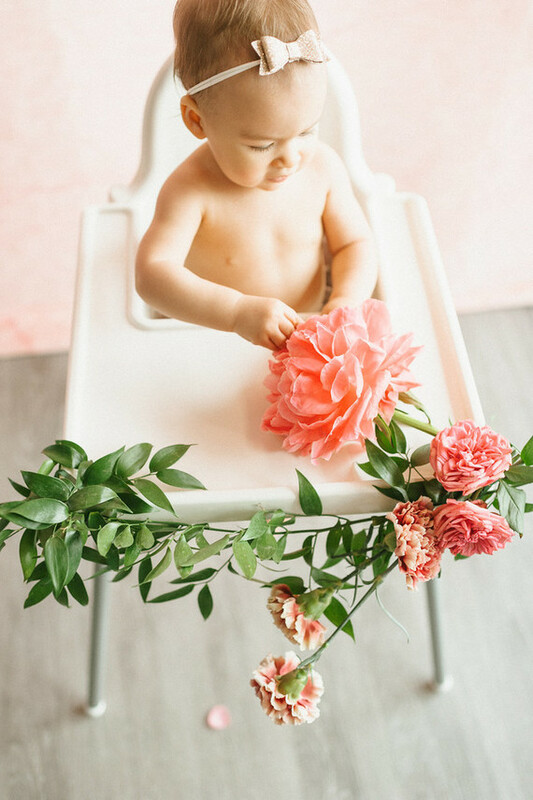 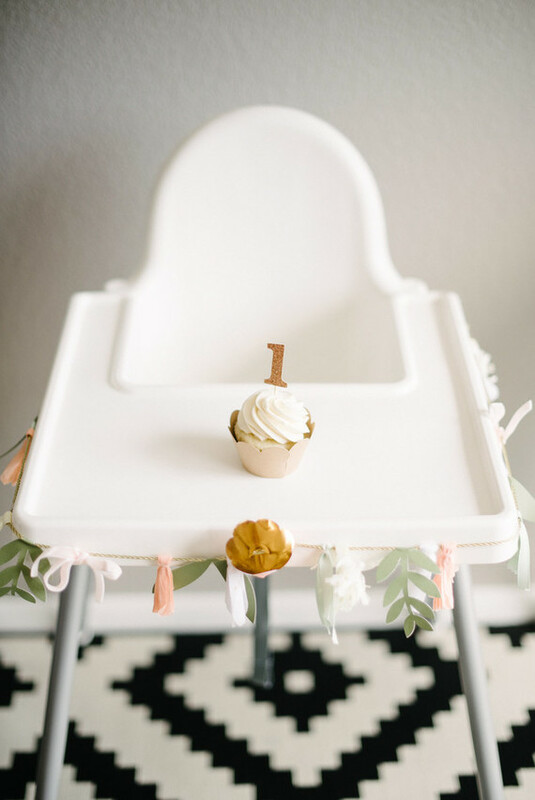 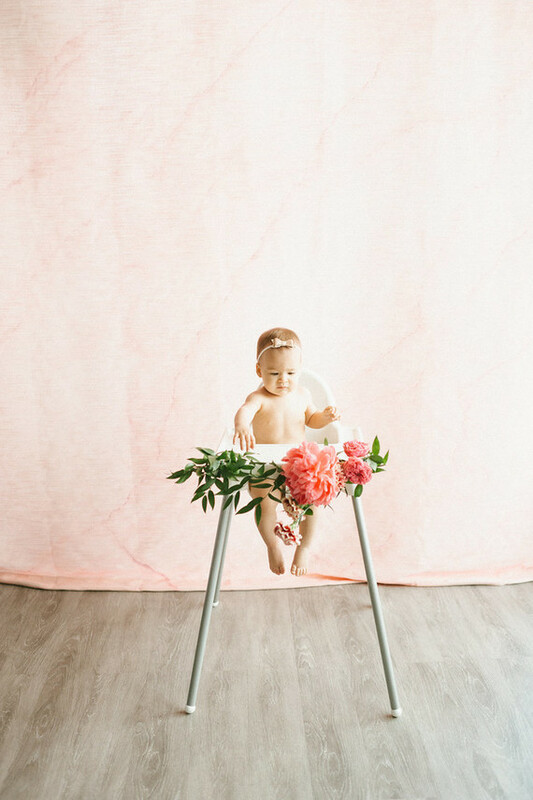 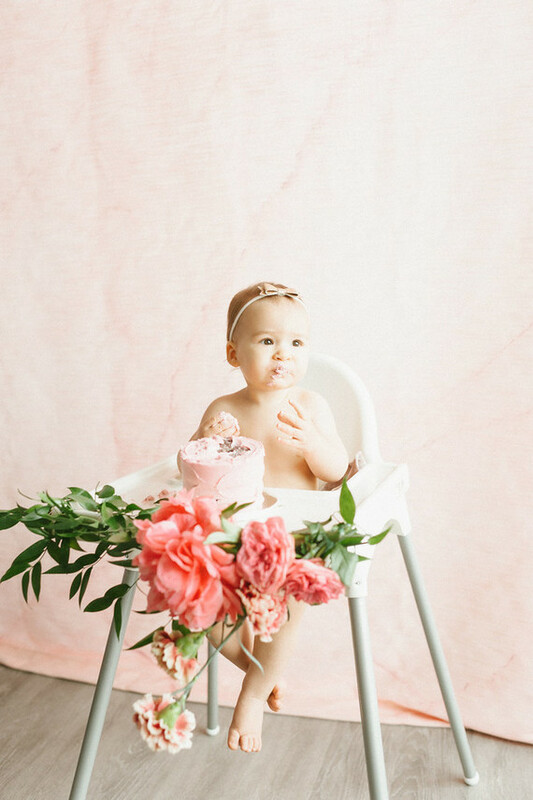 And how we love a girly, pink high chair + birthday cake combo. 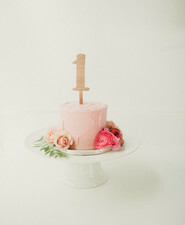 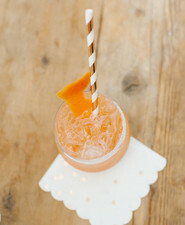 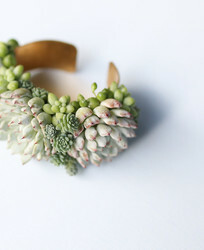 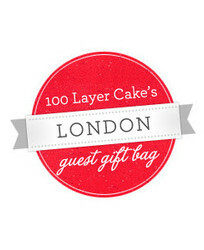 Just one of our many 1st birthday party musts. 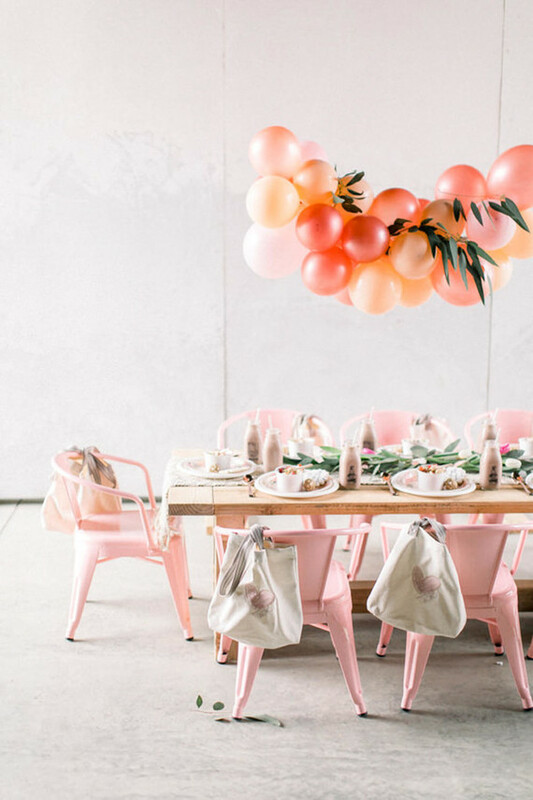 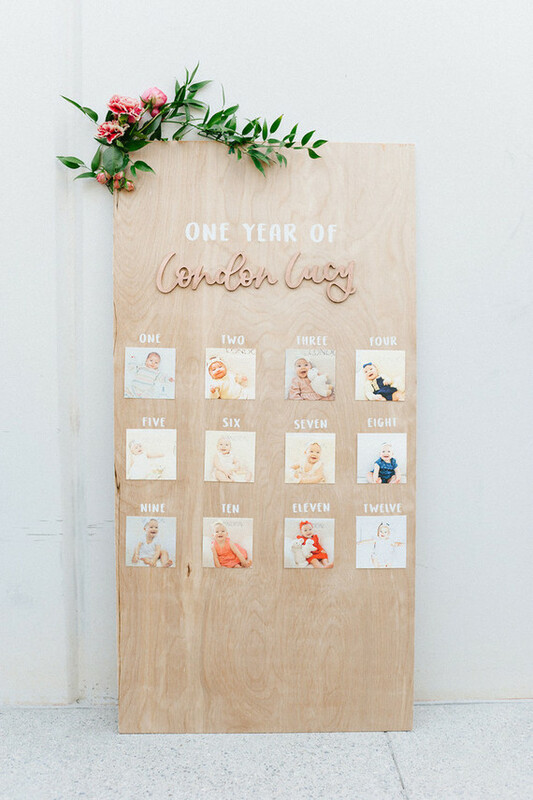 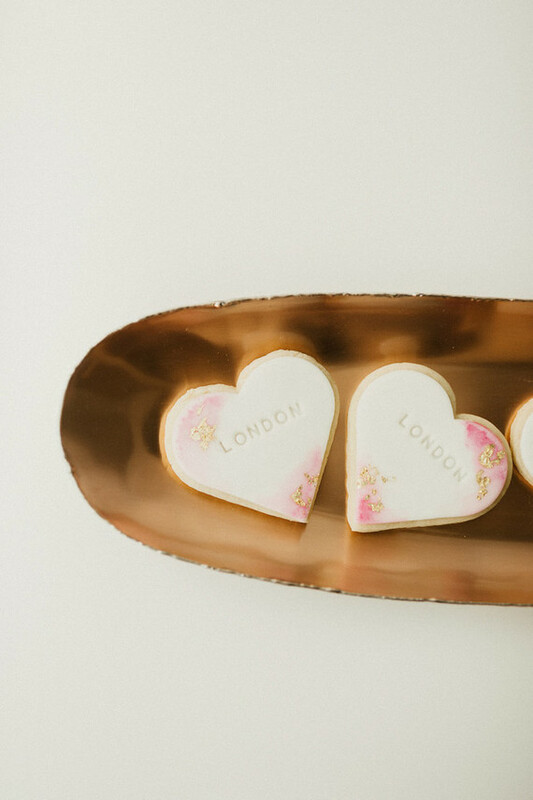 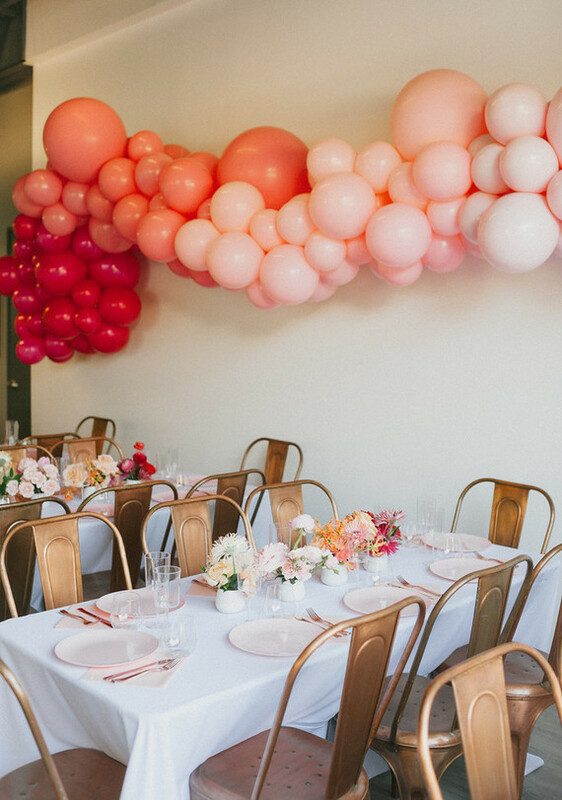 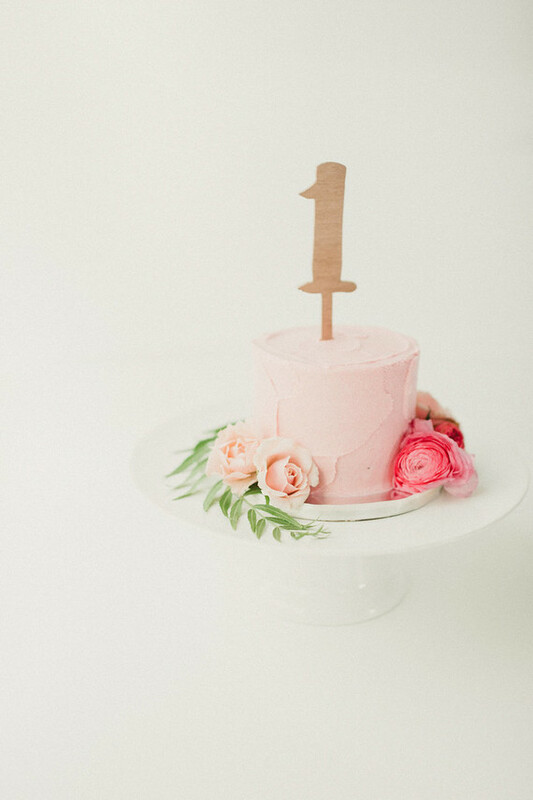 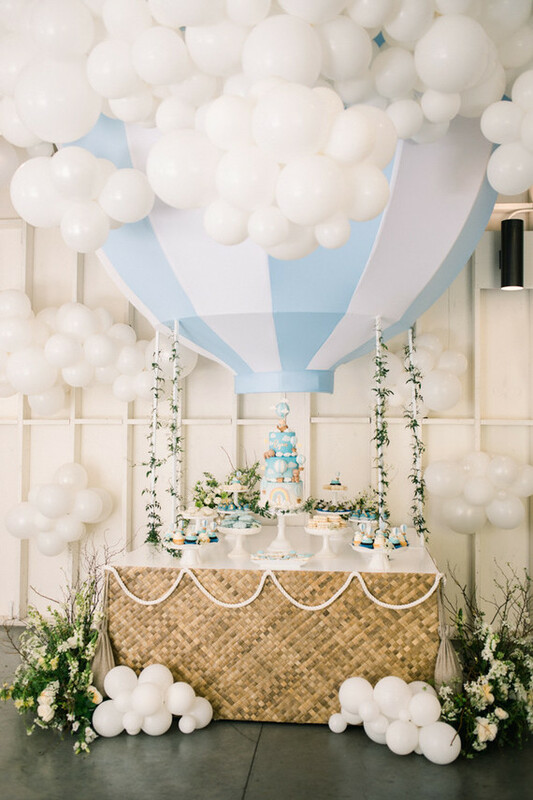 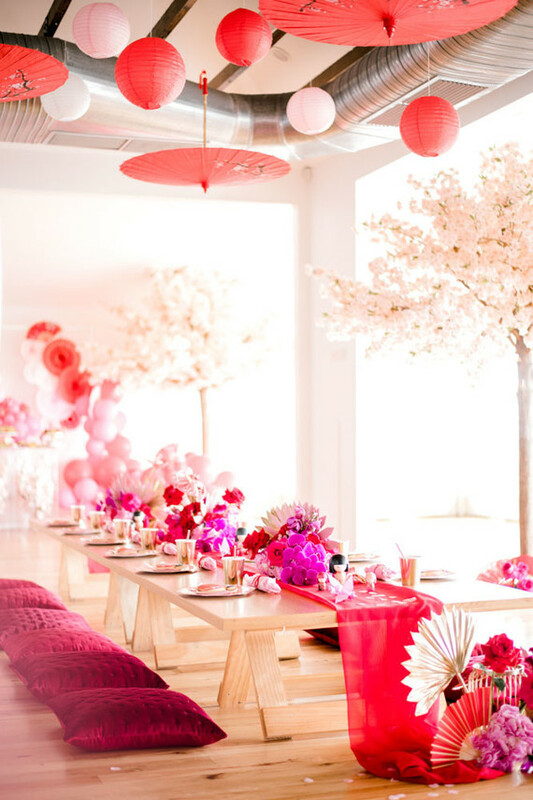 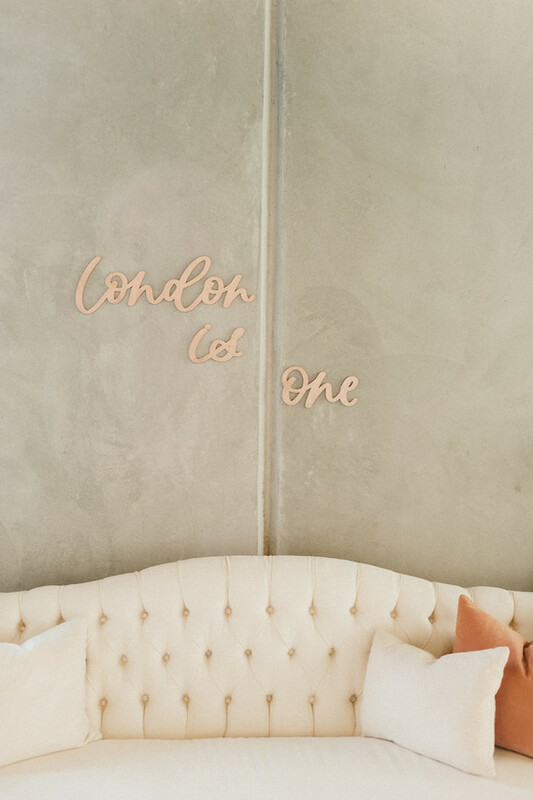 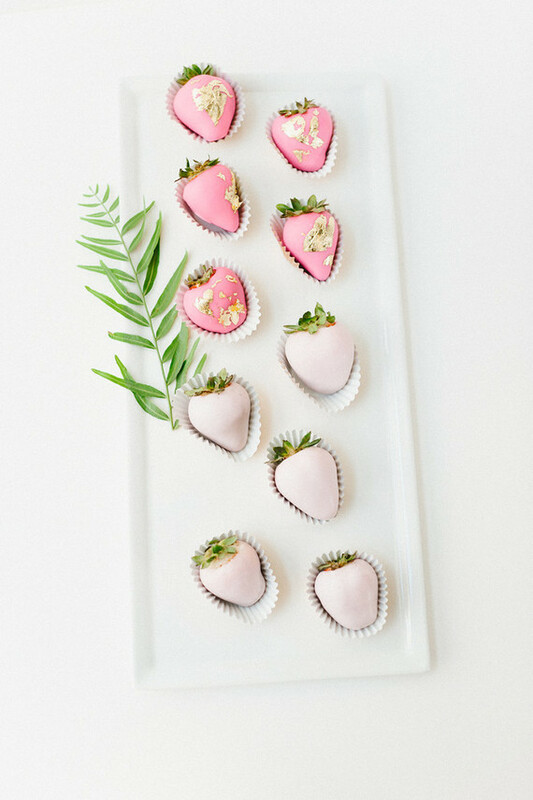 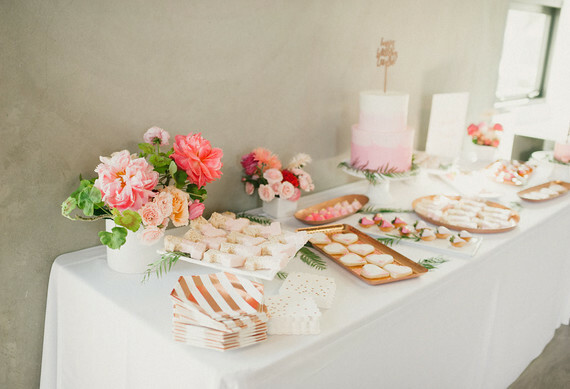 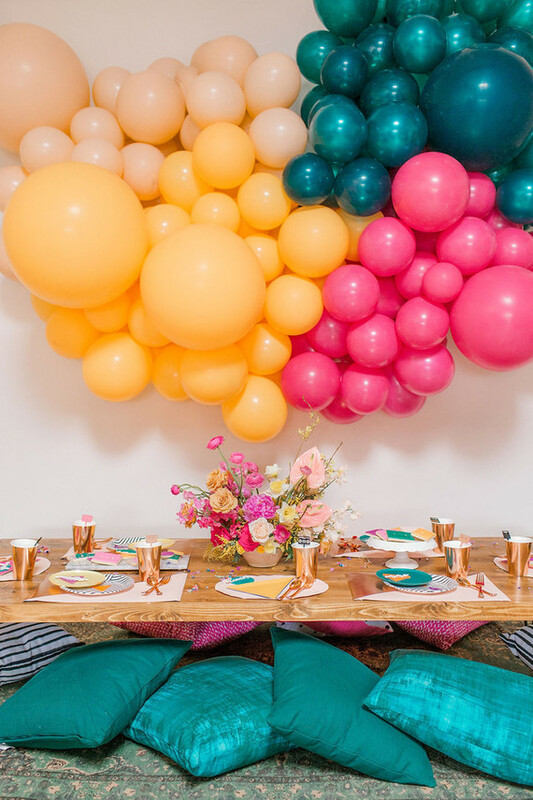 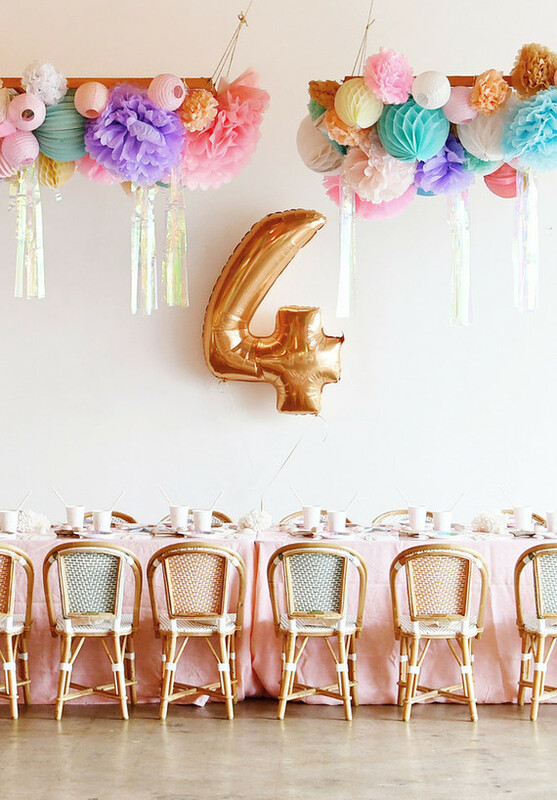 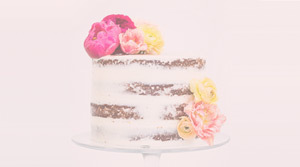 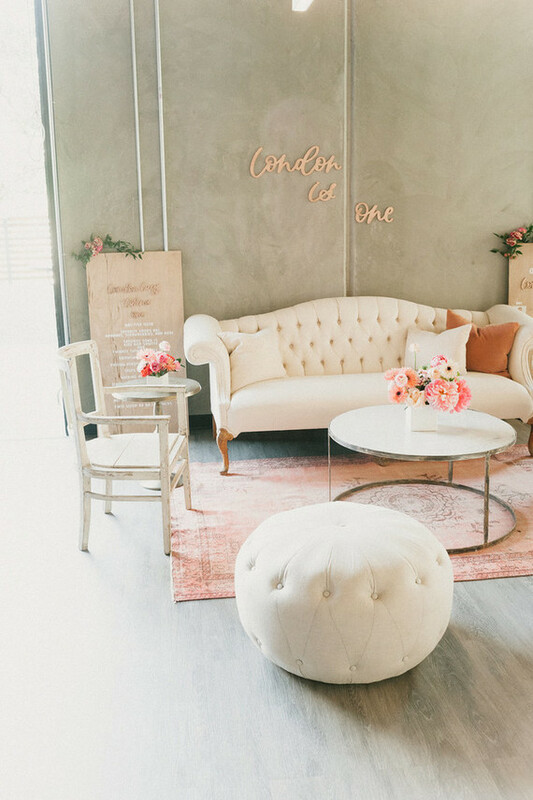 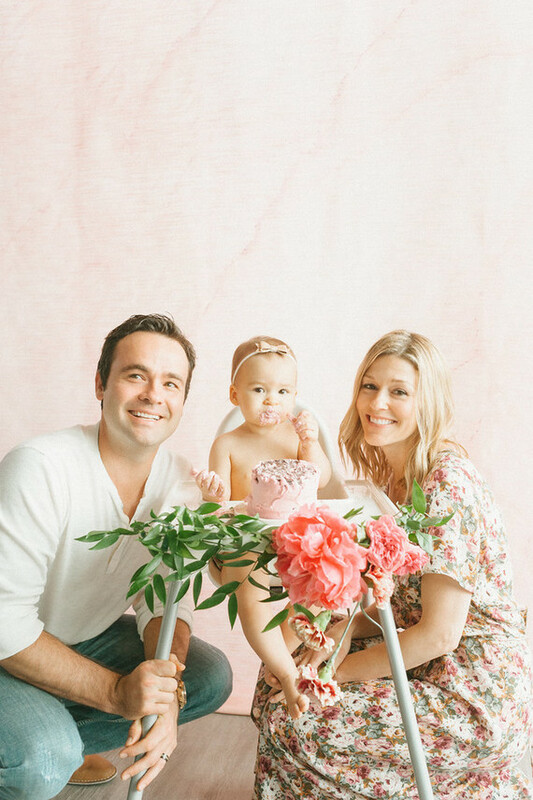 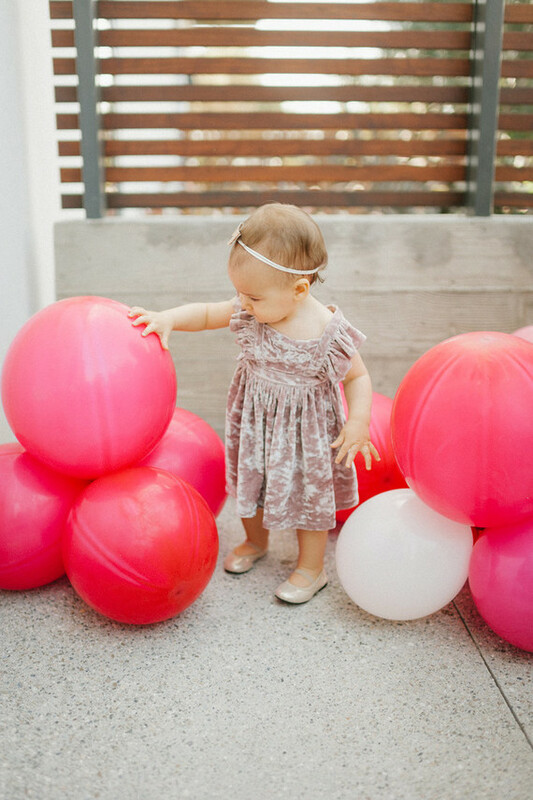 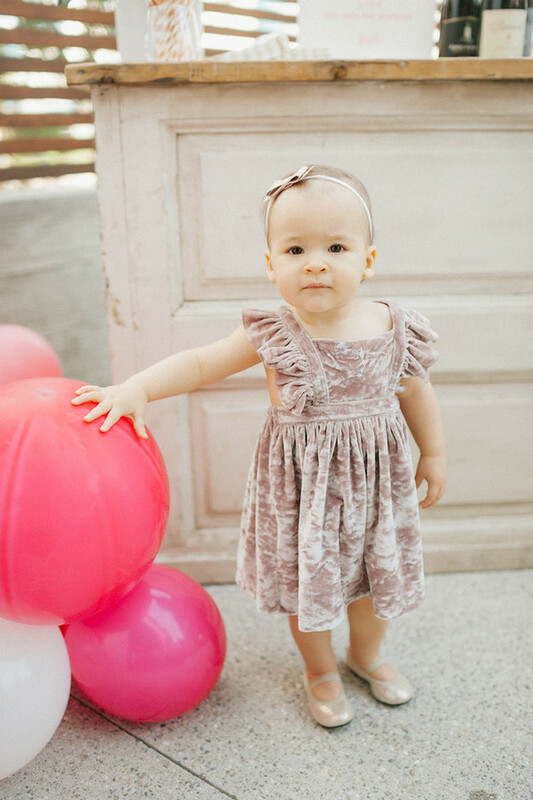 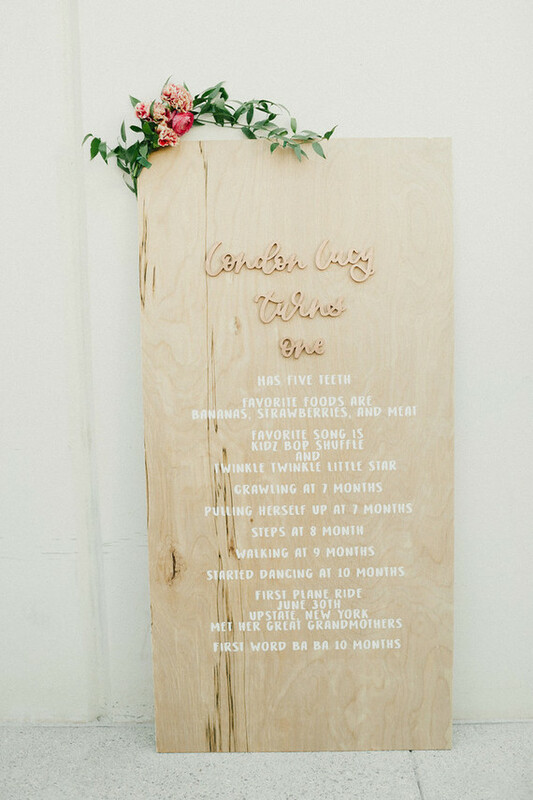 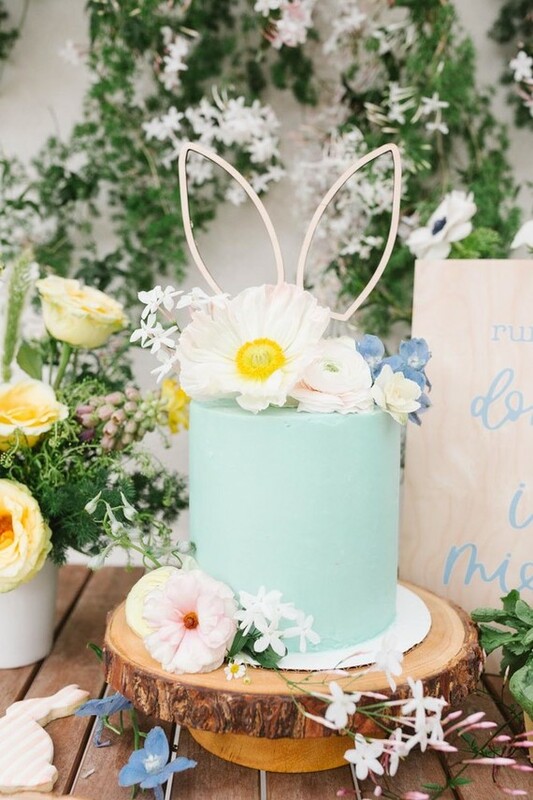 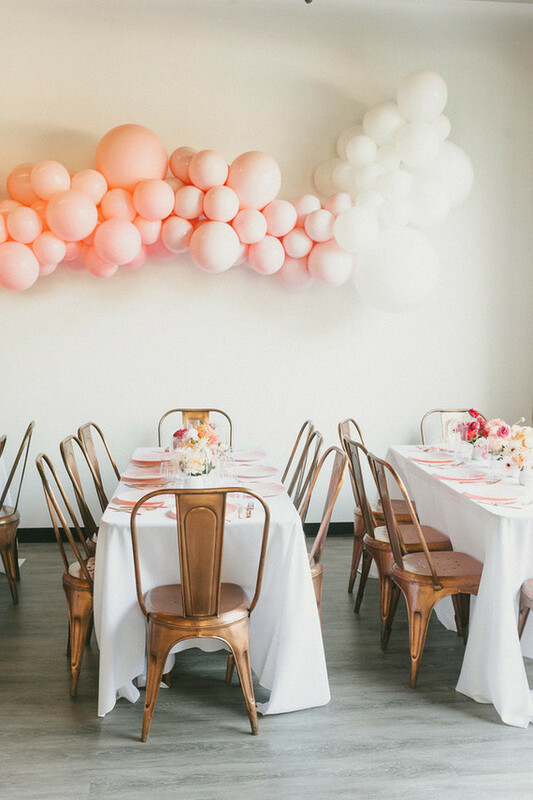 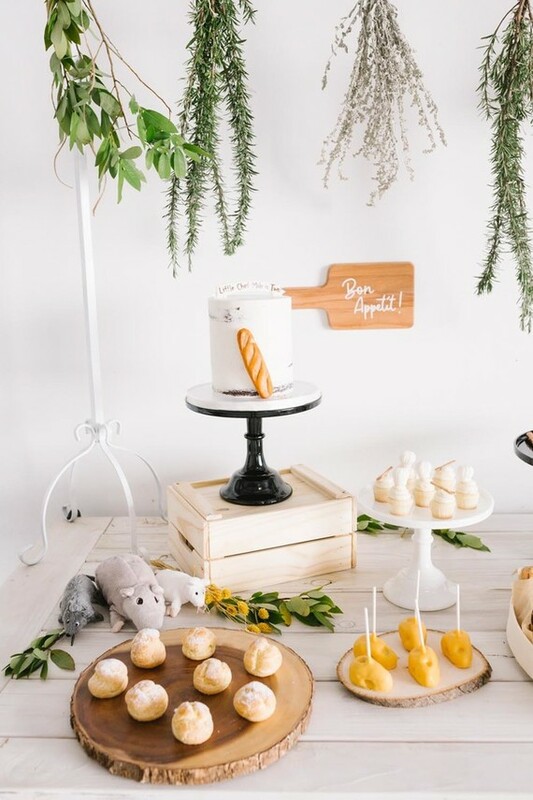 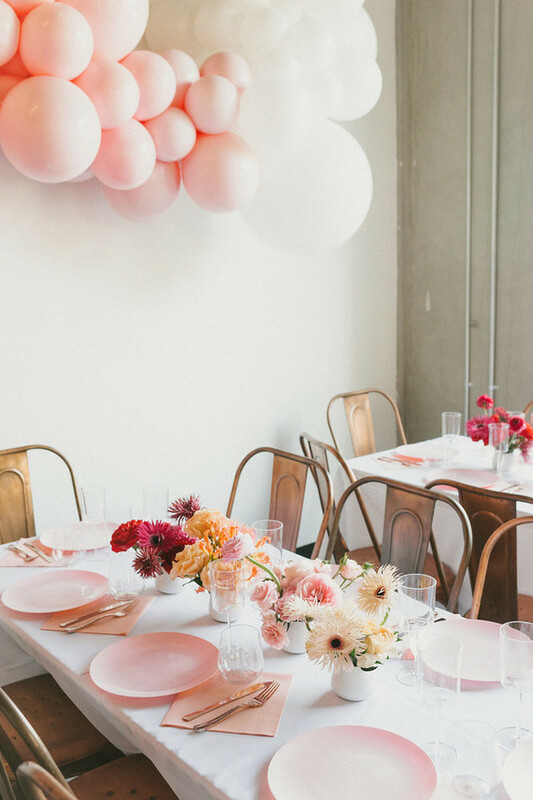 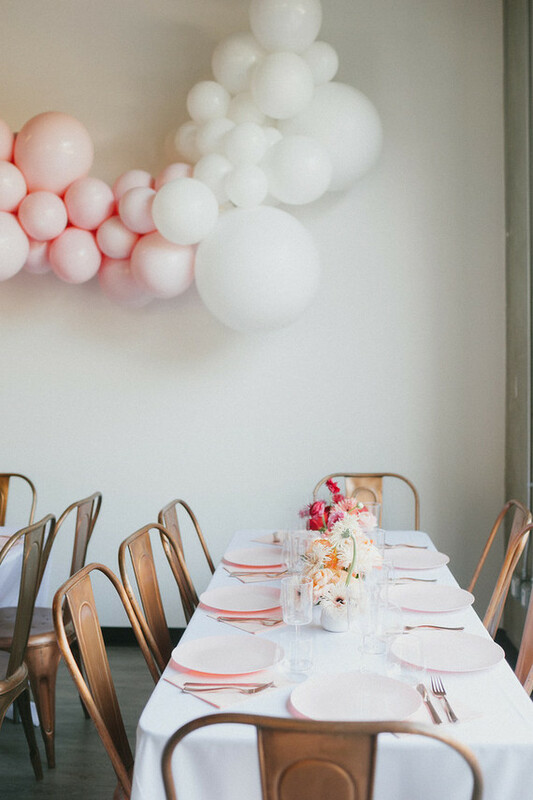 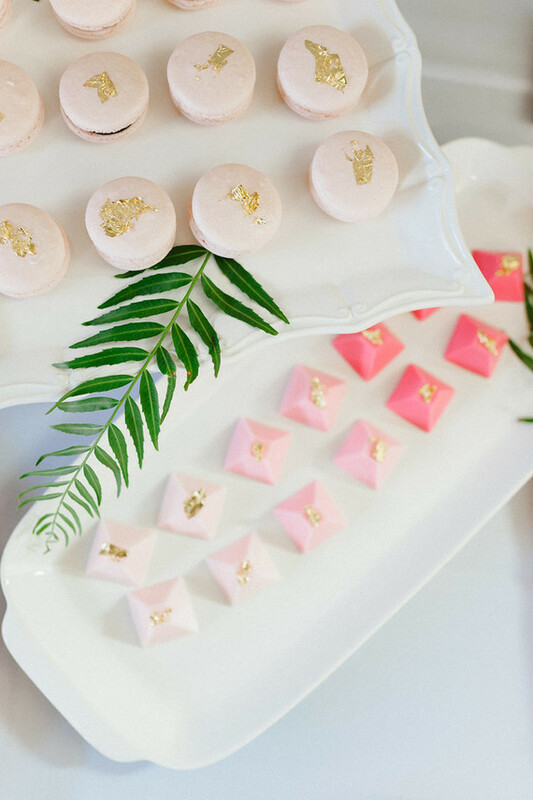 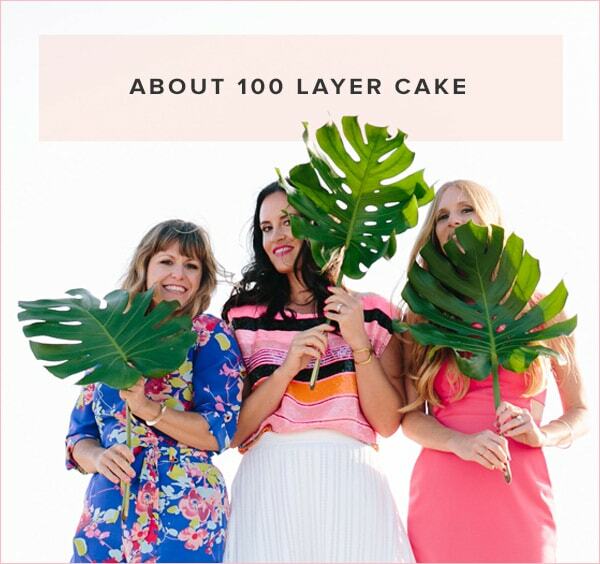 Shoutout to the gals at Beijos Events for styling up this gorgeous 1st birthday fête. 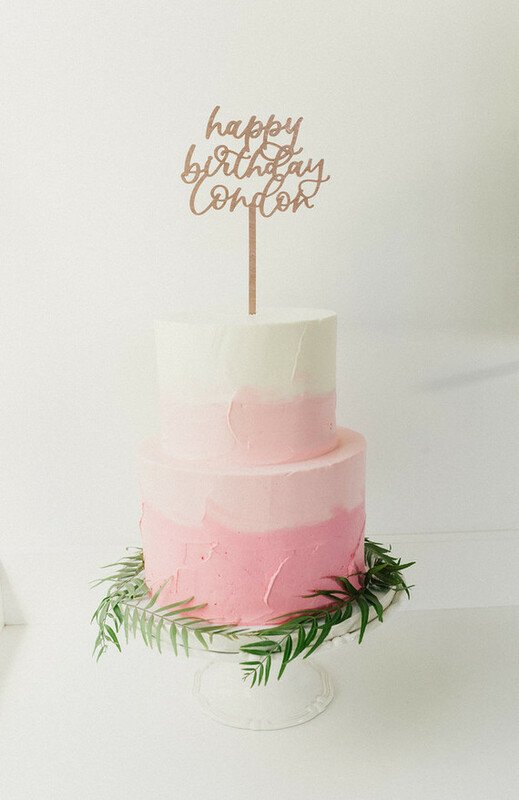 And happy birthday, L!